Lee Kofman turns her eye to bodies that ‘defy the natural order of things’ in her latest book, blending memoir with cultural criticism to delve into what bodies that contravene the status quo look like, how they come to be, and how society reads and responds to them. Kofman’s examination of the appearance of the body, what she terms ‘body surface’, is inextricably linked to her own extensively scarred body as a result of two traumatic childhood incidents. 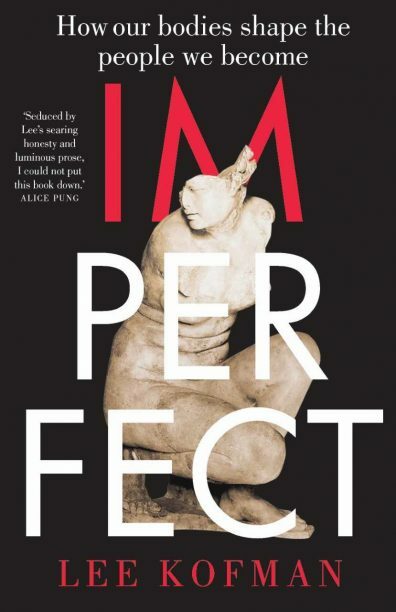 Imperfect is assiduously researched as Kofman intersperses her personal stories with the experiences of a range of people who—whether due to genetic conditions such as dwarfism or albinism, or a desire to modify their bodies—disrupt widely held norms about body image. But they are nearly always women, as Kofman is fixated with how ‘imperfect’ women are disproportionately punished by society. Kofman is captivating when recounting her formative experiences—recollections of people- and fly-strewn hospital rooms in Odessa and the heaving throb of people in Tel Aviv are visceral and evocative—but Kofman excels the most when she’s reconstituting the gaze towards ‘imperfect’ women and recontextualising the link between body and selfhood. This book will appeal to fans of similar blends of memoir and criticism such as Fiona Wright’s Small Acts of Disappearance and Jessica Friedmann’s Things That Helped.